Amazon’s never been one to back down from a fight. The company’s Instant Video streaming service seems aimed squarely at Netflix, and now CEO Jeff Bezos is taking on YouTube as well with a new Video Shorts section that’s full of the type of content you’d normally find on YouTube. Video Shorts is teeming with new music videos, live concert clips, movie trailers and celebrity interviews. It also offers the kind of home-made how-to videos YouTube is best known for, ranging from technology reviews to cooking guides to beauty and styling tips. Amazon says even the new streaming video section is brand new, but the company spent a lot of time building up its content library ahead of launch. 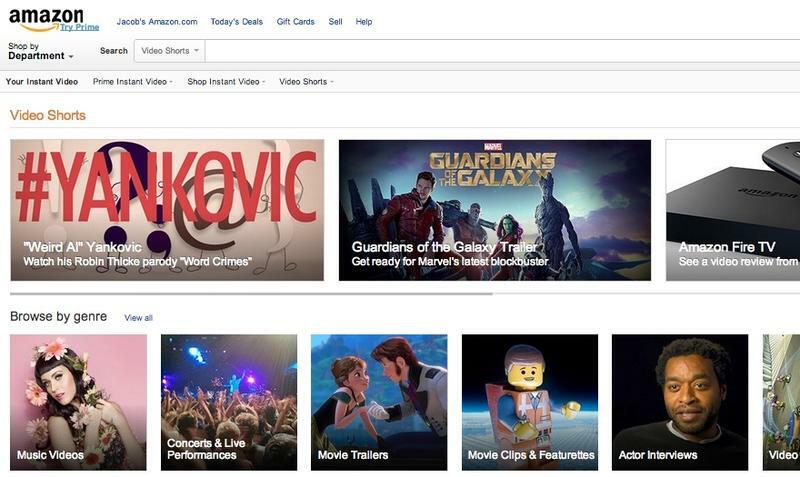 Amazon’s new offering is still missing a lot of what makes YouTube so popular. The service only offers a few hundred thousand short videos compared to Google’s billions of hours of streaming content. There’s also no way to livestream and you can’t even upload your own content. For now, Amazon’s Short Video section isn’t much of a threat to Google, and we’re not sure it ever will be. Amazon needs to put a ton of resources and energy into its streaming service if it wants to dethrone YouTube. Maybe the company should just focus on its smartphone, tablets, retail service, drones and the countless other projects it’s investing in.